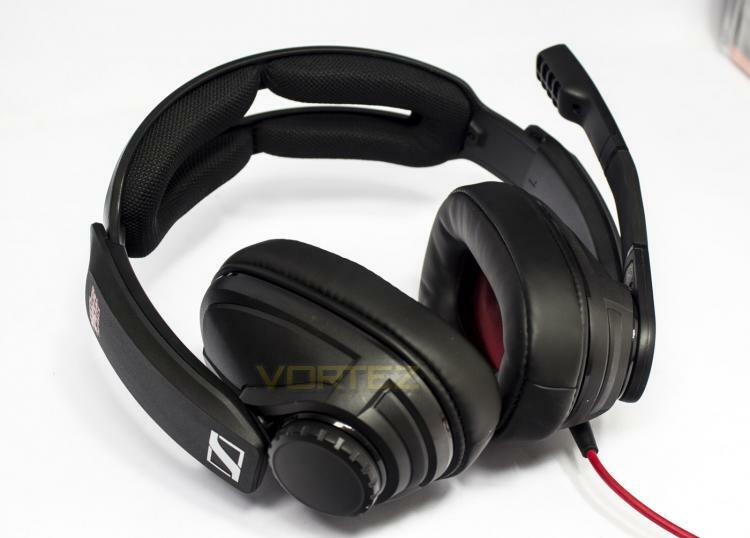 Sennheiser are a well respected company that create professional grade audio and recording equipment, and due to their technology and experience, their gaming division has made some exceptional waves in the industry. As the gaming market booms, the development and innovation of gaming orientated products are exploding with it, and in recent years, some gaming headsets have arguably been trading blows with pro/audio-enthusiast grade products in regards to features and audio quality. This trend will likely continue due to the big money involved with gaming, and its awesome to see a brand such as Sennheiser to take this market by the horns, something this partnership shows off well. The GSP 303 Need for Speed Payback edition features drivers that are tuned to a frequency response of 15Hz - 26KHz, capable of delivering deeper bass, and crystal clear highs beyond the 20Hz - 20KHz norm that is found in the majority of headsets. To provide long lasting comfort, the headband and earpads are lined with soft memory foam. The headset itself features intuitive controls including an onboard volume dial and auto mute boom microphone. As Sennheiser have also included an audio-microphone - 4pole adaptor, cross-platform versatility assures that you can use this headset regardless of your hardware. GSP 303 NEED for Speed Payback Edition is the ultimate upgrade for those seeking to stay immersed in the race. Developed together with Ghost Games, this limited edition gaming headset is the perfect complement to the sound of your favourite engine or soundtrack.